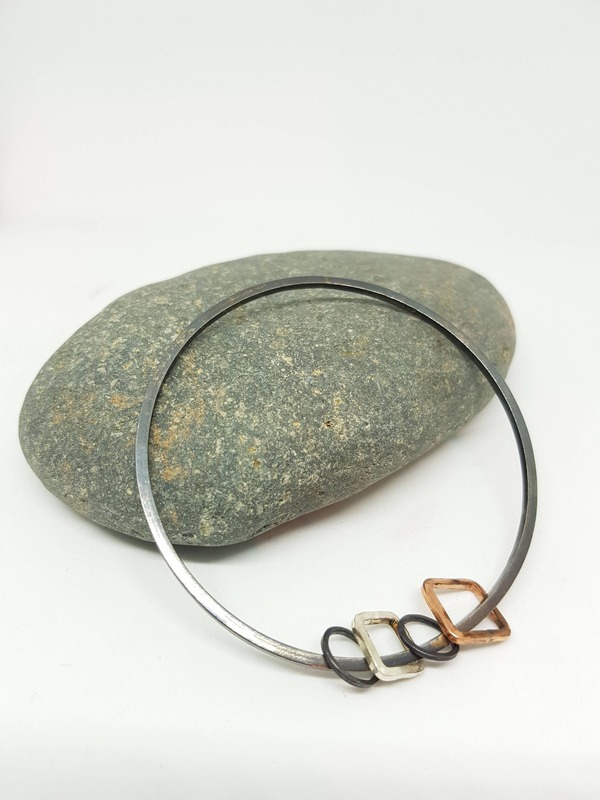 A single sterling silver bangle with four geometric charms. 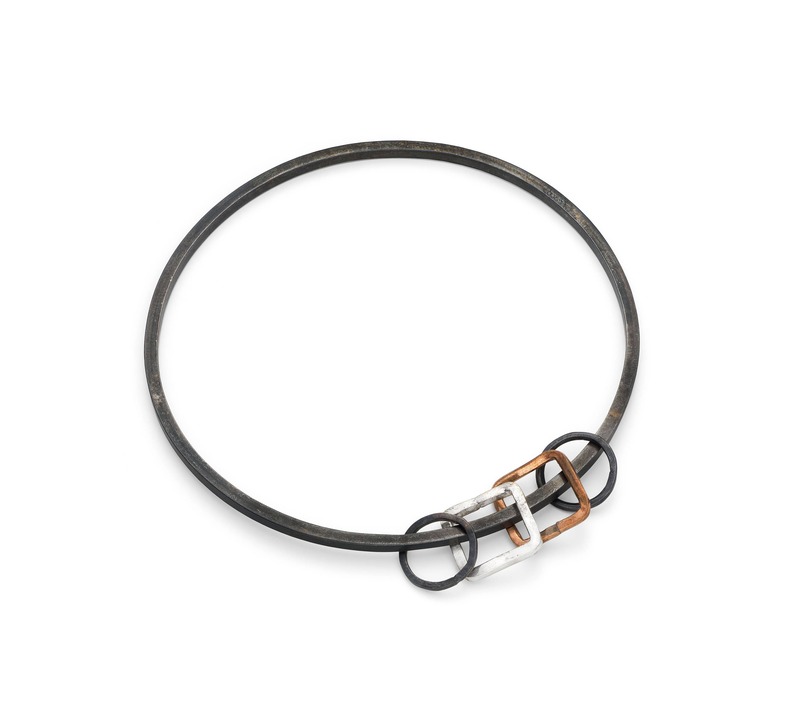 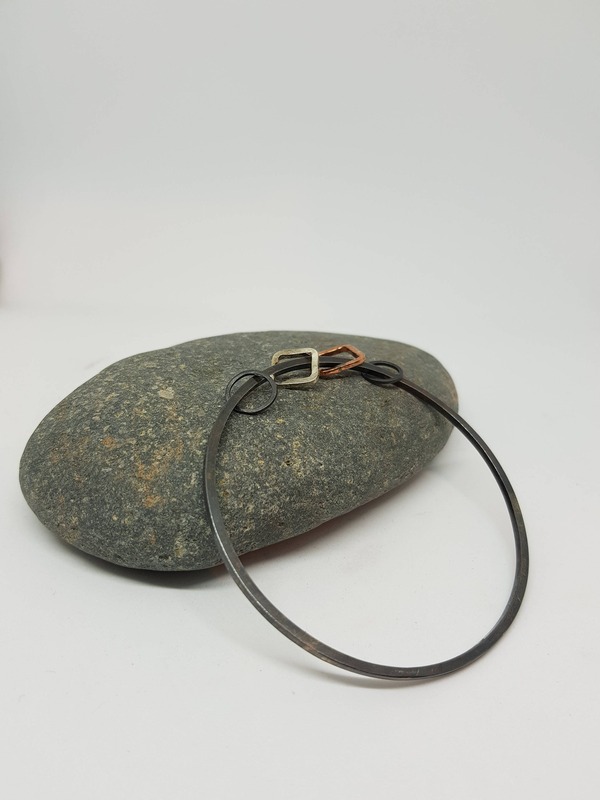 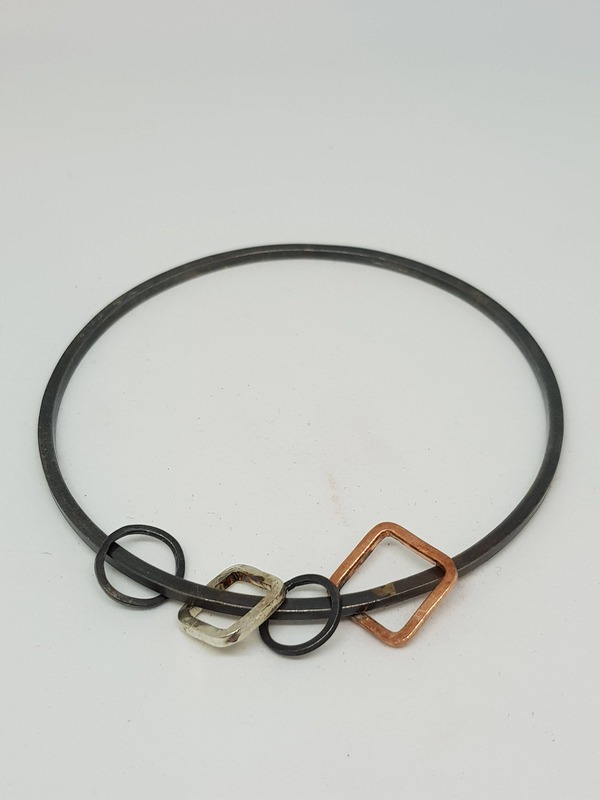 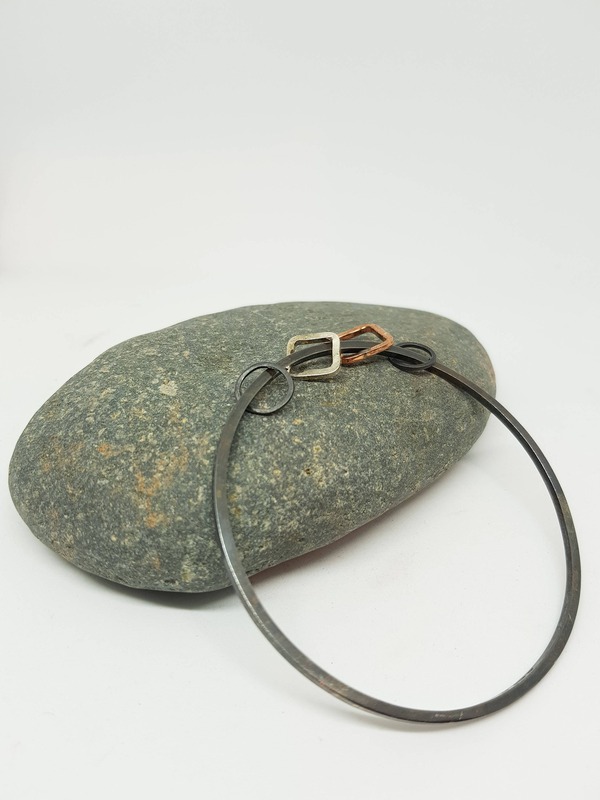 The bangle is made using 2mm square silver wire which has been treated with liver of sulphur to create the oxidised finish. 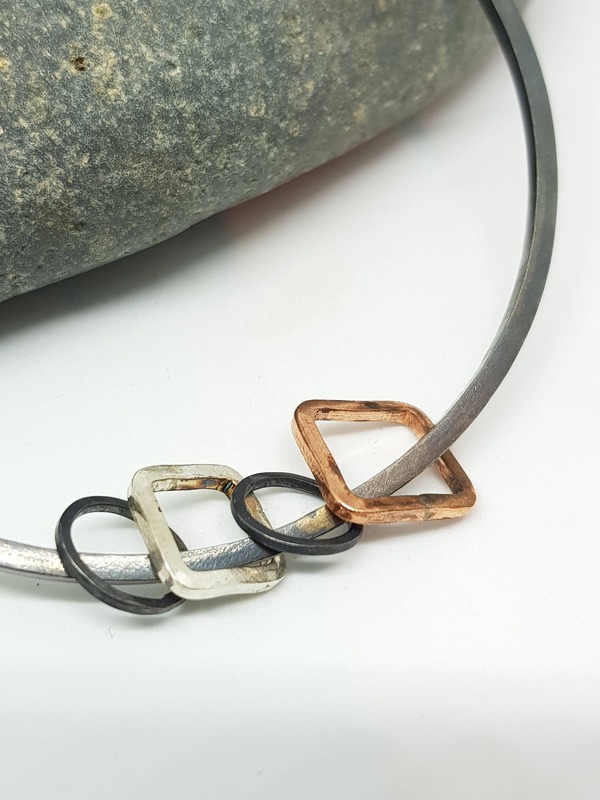 There are four charms hanging from the bangle - two are oxidised silver, one is polished silver and one is copper.